The Continental Class Championships run from October 7-11 in Arlington, Virginia. 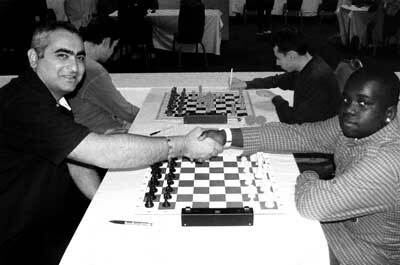 The first round match-up pictured above saw GM Georgi Kachieshvili facing off against Justus Williams, who recently broke the record for the youngest African-American master ever. 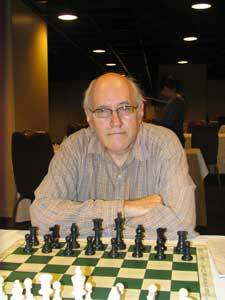 Many other strong players entered including GMs Aleksandr Lenderman, Alexander Ivanov, Aleksander Stripunsky, Alexander Shabalov, Eugene Perelshteyn and Larry Kaufman. Look for details on the official website and see live games on Monroi.com.